Our fire rated doors are access doors with a fire resistant vermiculite core, finished with timber sheets and external hardwood edge strips, making them the right choice for your Newcastle business. 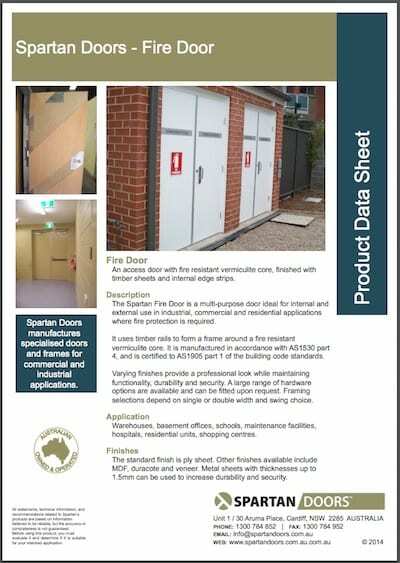 The Spartan Fire Door is a multi-purpose door ideal for internal and external use in industrial, commercial and residential applications in Newcastle, New South Wales where fire protection is required. Our fire rated doors use hardwood timber strips to form a frame around a fire resistant vermiculite core. They are manufactured in accordance with AS1530 part 4 and are certified to AS1905 part 1 of the building code standards. Varying finishes provide a professional look to fire rated doors while maintaining functionality, durability, and security. A large range of hardware options are available and can be fitted upon request. Framing selections depend on single or double width and swing choice. Warehouses, basement offices, schools, maintenance facilities, hospitals, residential units, shopping centres. The standard finish on fire rated doors is ply sheet. Other finishes available include MDF, Duracot, and veneer. Metal sheets with thicknesses up to 1.5mm can be used to increase durability and security. 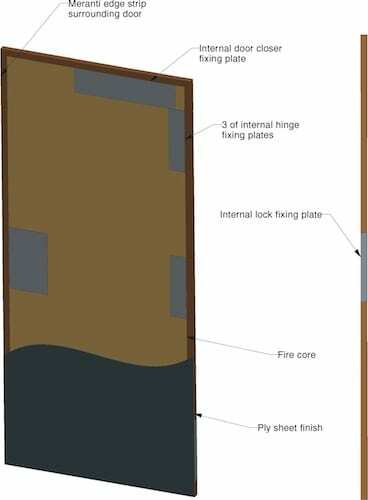 The standard finish on fire rated doors is ply sheet. Other finishes available include MDF, Duracote, and veneer. Metal sheets with thicknesses up to 1.5mm can be used to increase durability and security. Based on standard door configuration. Other sizes, finish, frame and hardware options are available. Size: Single – 2040mm high x 820mm wide x 36mm thick (internal 1-hour). 2040mm high x 920mm wide x 45mm thick (external 2-hour). Double – 2040mm high x 920/920mm wide x 45mm thick (external 2-hour). Design: Incorporates 10mm wide external hardwood edge strips to form a frame around the core in compliance with AS1530 part 4 and AS1905 part 1. Weight: 46mm leaf – 40KG. 38mm leaf – 32KG. 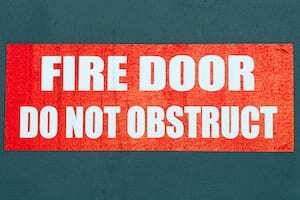 Door shall be Spartan Fire Door to AS1530 part 4 standard and certified to AS1905 part 1. 46mm or 38mm thick standard door leaf of vermiculite covered with ply sheet. Timber internal edge strip to surround core material. Other hardware and seals can be fitted by Spartan Doors as required. Here at Spartan Doors, we provide the highest quality fire rated doors to help increase security at your home, office, or warehouse in Newcastle, Sydney, Melbourne, and Brisbane, Australia.